Synopsis: Cooper Causey spent a lifetime eluding the demons of his youth and suppressing the destructive power inside him. But a disconcerting voicemail lures Cooper back home to the coast of South Carolina and to Warfield—the deserted plantation where his darkness first awakened. While searching for his missing grandmother, Cooper uncovers the truth about his ancestry and becomes a pawn in an ancient war between two supernatural races. In order to protect the only man he’s ever loved, Cooper must embrace the dark power threatening to consume him and choose sides in a deadly war between the righteous and the fallen. About the Author: Greg Howard grew up near the coast of South Carolina, or as he fondly refers to it, “the armpit of the American South.” By the time he could afford professional therapy and medication, the damage had already been done. His hometown of Georgetown, South Carolina is known as the “Ghost Capital of the South,” (seriously…there’s a sign), and was always a great source of material for his overactive imagination. 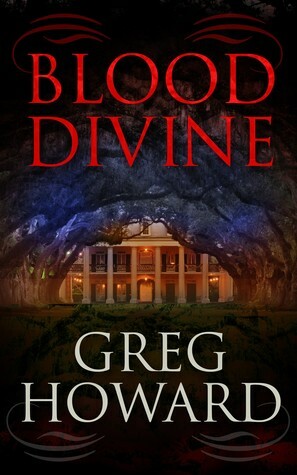 Review: Admittedly this is a new genre for me (I've never read it), but I think I've fallen in love with both the genre and Greg Howard's writing. A true thriller with a sprinkling of romance, "Blood Divine" will have you on the edge of your seat and dying to know what happens next.